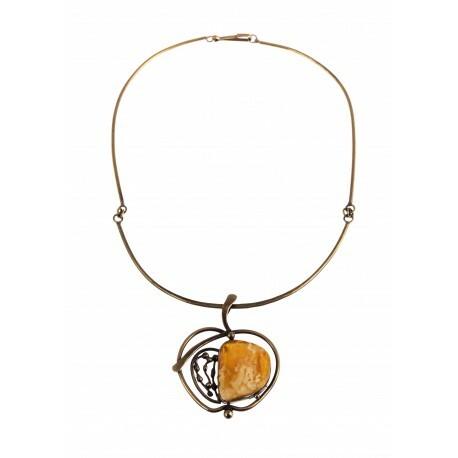 > Amber Ware>Brass necklace "Apple"
Brass jeweler's work - a styled necklace - a apple. Beautiful, elegant and refined. In artist's hands a appl of extraordinary beauty, made of brass, has bloomed. This necklace is like a reflection of an elegant, enchanting and sophisticated woman.